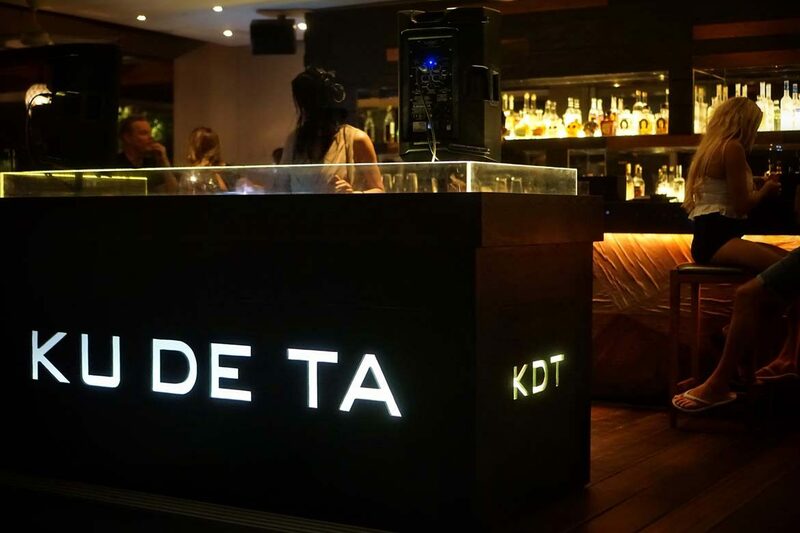 You’ll probably have heard of Ku De Ta. 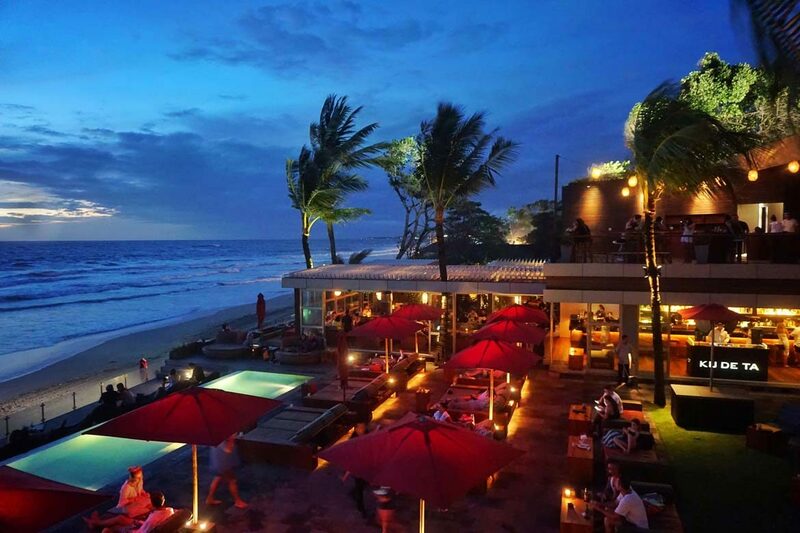 A Bali institution, it’s long been the place to be for sunset drinks in sybaritic Seminyak. 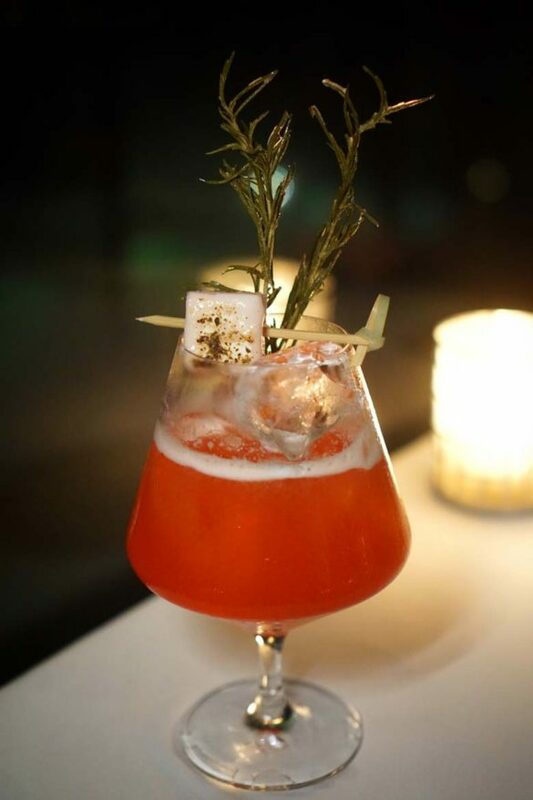 Whilst they are well known for their chic cocktails, DJ sets and some of the best views in the business, you might not know that on their first floor resides one of the island’s very best fine dining establishments, Mejekawi. 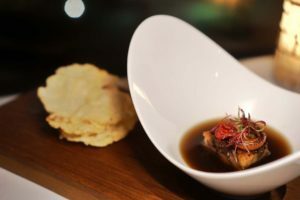 Chef Benjamin Cross (who oversees both the Ku De Ta kitchen and that of upscale Mejekawi) delivers a menu that ticks all the right boxes when it comes to melding European techniques with distinctly local flavors. 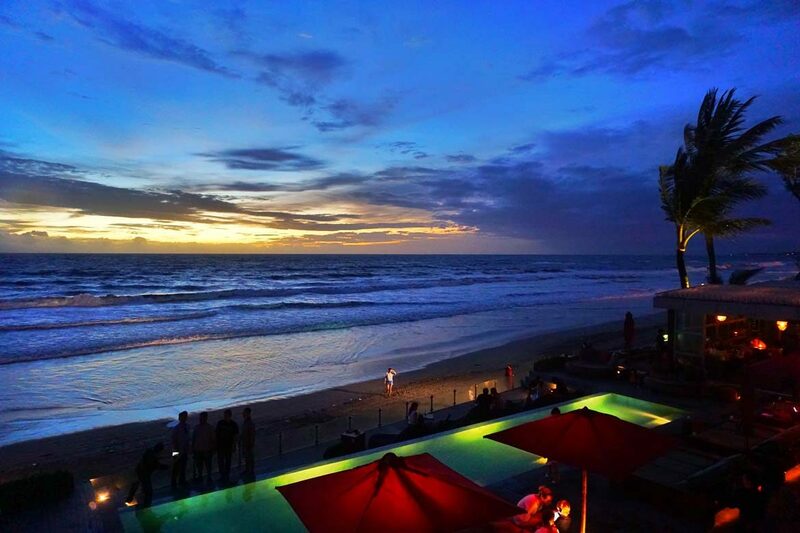 From our window-side table overlooking the Indian Ocean (there are a few outdoor tables available too when conditions are right) our tasting menu looked as pretty on the plate as our view of the illuminated waves crashing on to the beach. 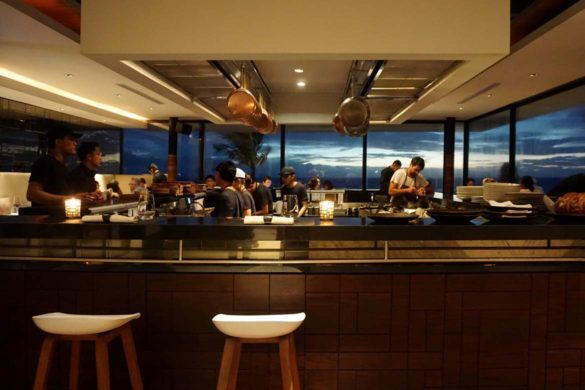 Mejekawi (meaning sacred table) offers tasting menus that can be tailored to your appetite, starting at 826,000 IDR including taxes for five courses, or 1,298,000 including wine pairing (that’s about $75/$120 AUD). We opted to go for the Chef’s selection (1,416,000 / 2,360,000 IDR all in) so we could explore as much of the menu as possible – but there’s a wood fired sharing menu too if that’s more your thing. 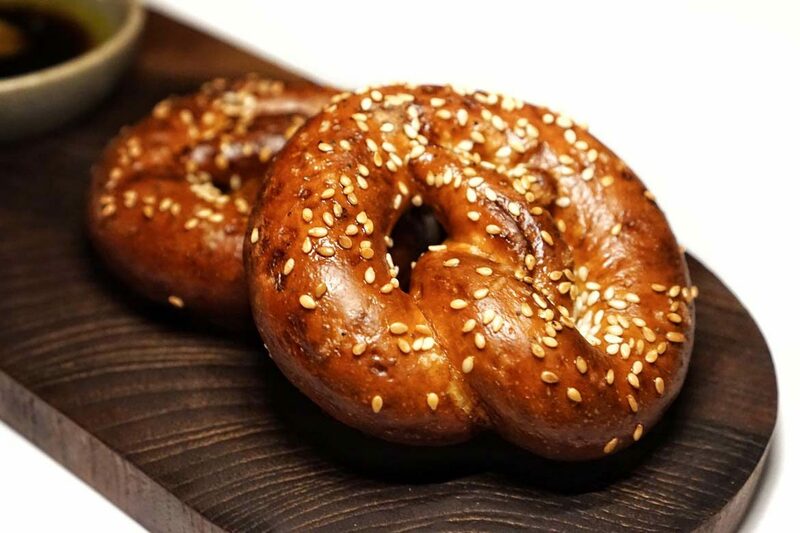 Speaking of wood fired, our first taste of Mejekawi comes in the form of large pretzels finished off over said fire served with tuna tonnato. Having only mused the day prior at how boring and tasteless street side pretzels are in the USA, these pretzels reignited my appreciation for the twisted carbohydrate. A large cracker topped with Mejekawi’s take on the flavors of a traditional Indonesian sausage comes next, with the delicate pickle atop providing just the right amount of acid contrast. An edamame falafel arrives soon after, admittedly not looking too exciting on the plate, but the taste blows us away – it is easily the best falafel I’ve tasted (and I live in the Middle East so this is no mean feat). 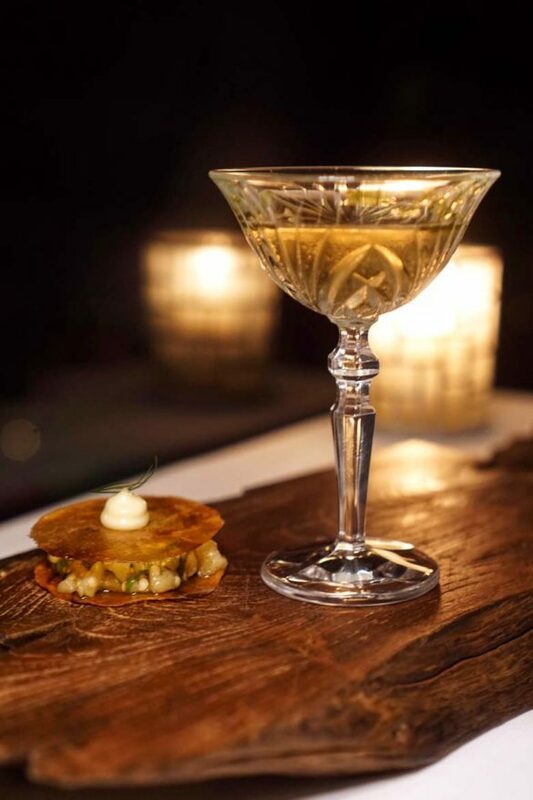 ‘Fish and chips’ follows and again impresses, with its snapper ceviche and pickled shallot sandwiched in-between delicate rounds of glass potato (chargrilled eggplant takes the place of the snapper for vegetarians), served alongside a white Bloody Mary. Both drink and bite are superb (though we especially fell in love with the spicy white Bloody Mary). Sop Buntut is introduced as a long time favorite of Mejekawi diners, and it certainly lived up to the hype. A decadently rich oxtail broth served with katsobushi, tomato rasin and charred onion, this course packs a seriously umami punch. 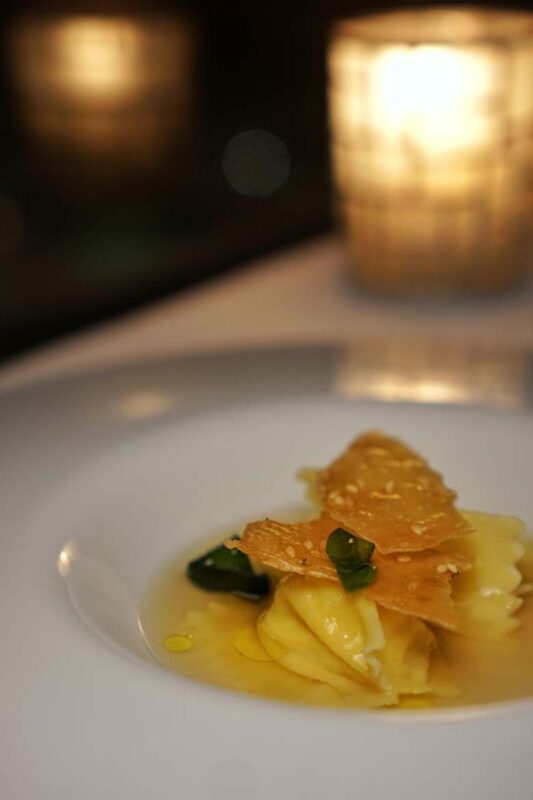 I’m surprised to see a pasta course arrive next – prawn agnolotti (the vegetarian option features corn in place of the prawn) served with chicken brodo, skin crisps and sesame oil. The agnolotti is superb in itself, but add the fried kaffir lime leaves and the dish absolutely sings. 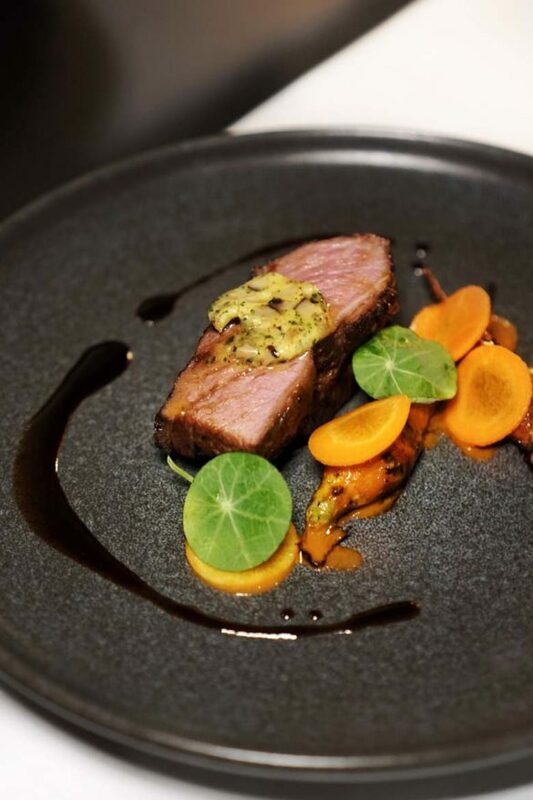 48 hour organic grass fed short rib, carrots, tare jus, fermented mushroom butter and nasturtium might sound a tad on the tame side, but the wood fired meat definitely delivers the goods – spectacularly juicy and flavorful. A quick palate cleanser and it’s already time for dessert, a gorgeous take on Bali Kopi (and one I enjoyed significantly more than the thick and bitter local coffee itself). 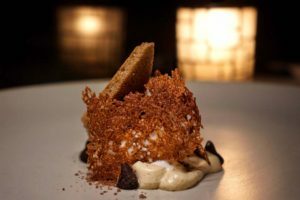 Coconut and coffee ice cream, toasted milk solids, coffee cloud and gula kelapa complete the utterly delicious dessert, even pleasing a member of our party that absolutely detests coffee. Because one can never have enough coffee, I elected to follow up the excellent dessert with another hit in the form of my usual nightcap, an espresso martini. 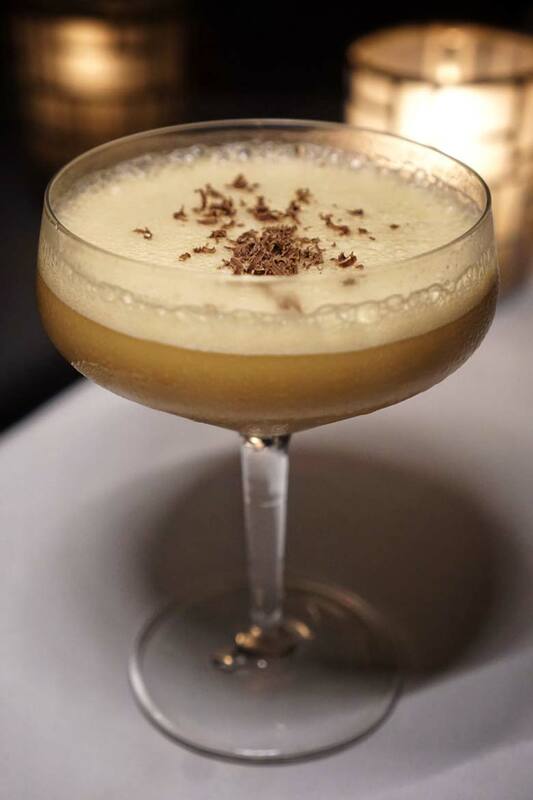 Mejekawi’s unique take on the classic uses house-made coffee infused vodka and their secret ingredient (well, perhaps less secret now – sorry guys), their coconut pandan syrup. 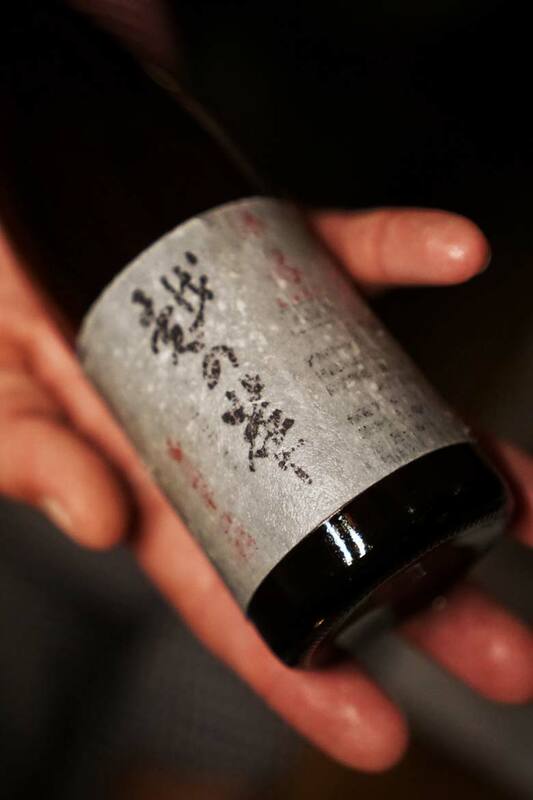 If they would bottle this, I’d buy it – it made for the most spectacularly delicious coconut coffee cocktail. 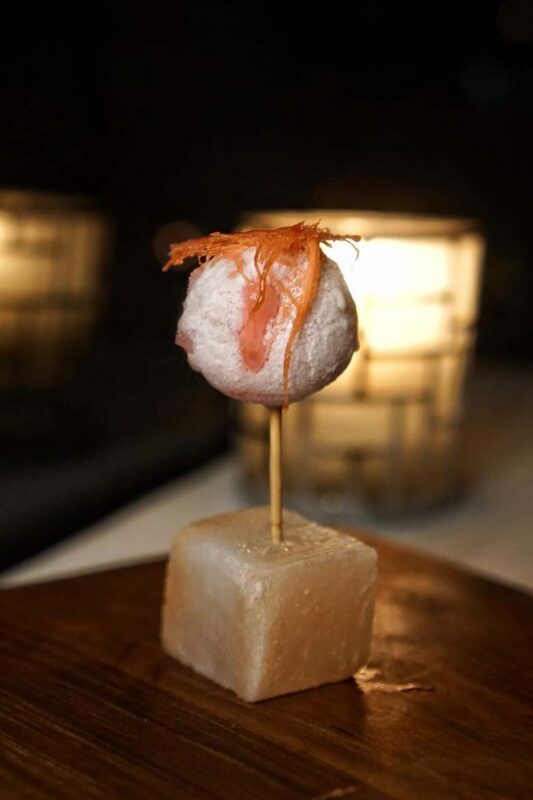 In fact, all of the cocktails created by Mejekawi’s superstar bartender (he’s got 10 years experience at KDT) were superb – don’t miss the lychee and rose martini with its accompanying frozen candy floss bomb. 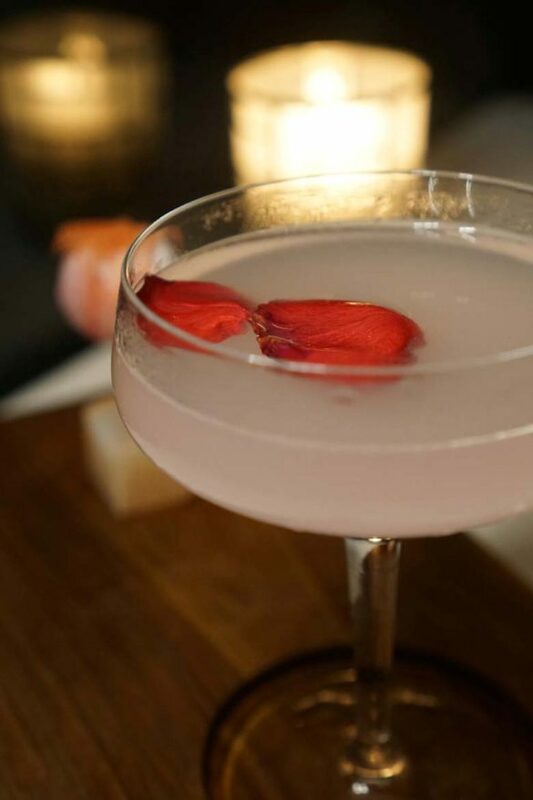 A tart calamansi marshmallow roasted over the wood fire and a shot of Bedugul sour conclude our Mejekawi journey, leaving us feeling very well sated and extremely delighted by the evening’s proceedings. 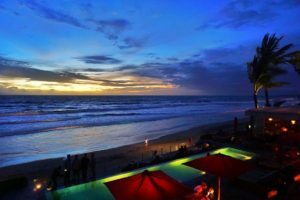 Mejekawi at Ku De Ta is a must visit in Bali and in our top three meals on the island (alongside Potato Head Beach Club’s Kaum and Bikini).